Pollard & Co Accountants – Accountant Bingley, is a trusted firm of chartered management accountants and tax accountants based in Bingley. Pollard & Co Accountants specialize in tax accountancy and bookkeeping services for owner managed businesses and private individuals. As a small business accountancy firm in Bingley, our team understands the needs of our clients. Our team guides businesses regarding concerns about recent changes to financial legislation or any other taxation obligation and completing the tax returns on time. Accounting is considered as the language of business. Accountants handle the key task of financial accounting, compliance, management accounting, tax, financial systems, payroll, financial planning, forecasting, and much more. But with the changing times, the role of Accountants in Bingley has also changed. Above and beyond aforementioned profiles, the accountants have taken on the vast range of roles in businesses of different sectors like the public, non-profit, professional bodies, and academic circles. What is common in any of the role performed by them is their knowledge of accountancy and skill sets related to it. With the leaps and bounds technology and changing ways of doing business, the way the accounts used to work has also undergone a paradigm shift. The technology has induced efficiency into the accountancy practices. Moreover, it has opened new avenues of growth. The changing phase of this profession is being witnessed by most of the nations across the globe; Bingley is one such city where accountants have mushroomed, and it will continue to grow in the coming years. With the ever increasing and wider role of accounts in businesses, Bingley is now a hub for many independent accountants and companies that take care of finances and other fields related to it. 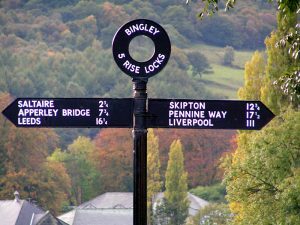 The ways of doing business have changed and so have the expectations of the clients; Bingley is not new to this. The city has seen the emergence of new forms of financial services that have been tailored in a manner that it works the best for the client. Accountancy practices in Bingley are adding new services to their portfolio, and the new breed of chartered accountants in Bingley are making use of innovative skills and knowledge that help the clients beyond their expectations. The city of Bingley is filled with a plethora of accountants and accounting firms that offer a myriad of services to the clients. The Accountants in Bingley take care of various responsibilities like managing tax affair, business proposals, white paper, and financial advisory. The accounting firms in Bingley deal with a variety of clients like LLP, sole traders, individuals, Limited companies and partnerships. A proficient accountant for any business is a priceless asset primarily because these individuals use their skills and knowledge to invoke thought-provoking queries which are very helpful for the forecast of the strategies of the respective businesses. What is unique about accountants in BINGLEY is their pragmatic and critical style towards solving problems which make them even more competent. Lately, with the rise of SMEs in BINGLEY, the role of accountants has also increased as they aptly understand the market scenario and have a good eye for financial analysis. The role of accountants in Bingley or any other nation has emerged from a mere financial caretaker to a business strategist as their knowledge and skills help in formulating business strategies filing of Tax Returns, cost analysis, improve on risks, etc. The accountants have a multidimensional role; their key role is to safeguard the interest of the shareholders. , as CFO the accountants have an oversight of the financial health of the company; from allocating budget to the project to the determination of management’s salary the accountants have evolved as professionals. They also work as an internal accountants, they advise on the areas of enhancement, in government structure, the accountants play a key role in formulating the fiscal policies while in Academia they pass on their knowledge and skills to their compeers. And in the city like Bingley where the avenues of opportunities have opened up for many, accountants have also evolved in multifaceted roles. With the changing business environment, all the professions have undergone transformation and so has the role of accountants which has become even more challenging. They now have to portray their importance in the capital market and their ability to face the dynamic business problems. Most of the clients in Bingley are now looking for accountants that have credibility and are accountable not only to the company but the public as well. The accountancy firms in Bingley have now taken on the role of complete financial consultants wherein they provide services like payroll, tax affair, bookkeeping, business development, funding allowances, clerical work, capital gains, tax obligation, recovery of overpaid tax, and the list is endless. With so many professional accountants flourishing in the city, the clients can get in touch with the accountants or accountancy firms as per their budget; the range varies from cheap accountants in Bingley to the most expensive ones; the choice is yours. The accountant firms have now come up with a new form of business, a profession that was earlier restricted to a person or two has now evolved as a collaborative functioning unit that takes care of the various aspects of business. Just like their counterparts like sales and development, accountants now play the role of key drivers of growth for any company. Moreover, their role has also enhanced in framing government policies that will eventually work for the public benefit and Bingley is also witnessing these changes. Let’s not miss the point that success of any city or nation or business is incomplete without a strong financial department. This has been recognized by the public and business community in framing a strong financial base of the company that will benefit the shareholders and investors hence; accountancy has evolved as new business language. There are many firms in the city which are working as great accountant consultants, and one such firm is POLLARD & CO Accountants in Bingley, which is rigorously working to provide the best financial support to one and all forms of businesses not only in Bingley but also in adjoining areas like Baildon, Shipley, Ilkley, Leeds, Bingley and Menston. It can be said that choosing an accountant is somewhat similar to choosing your life partner who is going to know everything about you and is someone who is going to be there for a long run hence; the choice is the magic word that you need to take care of while choosing a chartered accountant in Bingley. Apart from the traditional year-end compliance, the role of Bingley chartered accountants has developed as a partner and a key driver of growth. Therefore, the more judiciously you choose, the better is the result.